Value your own self-worth and have a sense of this in your speech or business presentation. Be comfortable with yourself – your clothes, your shoes, your hair. Necessary items. Tissues, your speech (cue cards or in full), glass of water (no alcohol or hot drinks), reading glasses (if applicable). Don’t have your mobile with you or even turned on whilst giving the speech. Know your material. Have a clear idea of the purpose of your speech and keep this end clearly in mind. Know precisely where your presentation is meant to take your listeners. What exactly is it that you want them to be thinking when you step down from the platform? How do you want them to feel? Now decide what vivid, illustrative examples you are going to use to take them there. Make it a speech with impact! Use humour, personal stories and conversational language – that way you won’t easily forget what to say. Practice. Practice! Rehearse your speech for a week or so before the event, and if possible with all the equipment you plan on using. Revise as necessary. Work to control the fill words; practice, pause and breathe. Practice with a timer and allow time for the unexpected. Know the audience. Ensure your presentation is an exercise in making friends with the audience. Greet some of the audience members as they arrive. 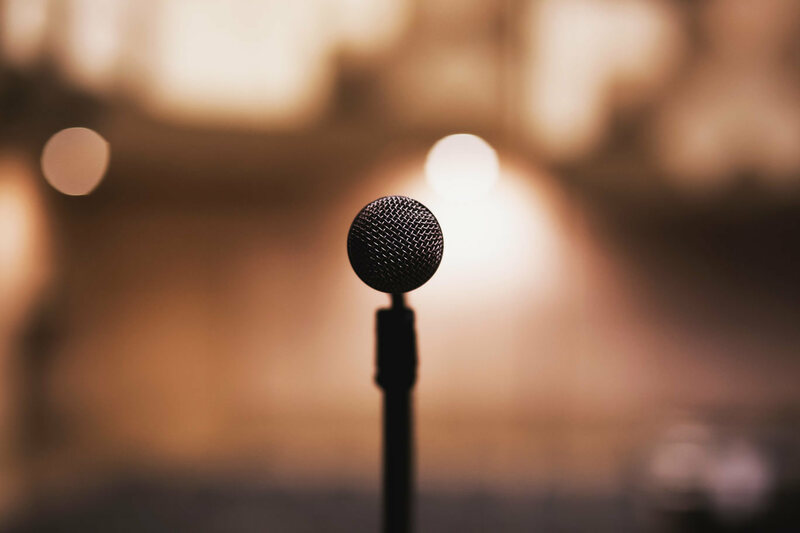 Quit striving to be the ‘perfect’ public speaker. Instead focus on being a warm, accessible human being people can relate to. Someone just like them. Think two-way dialogue instead of one-way monologue. Think informal friendliness instead of staid and distant public speaking ‘correctness’. Know the room. Arrive early, walk around the speaking area and practice using the microphone or other visual aids. Don’t stage or pre-set your movements for your presentation. We are not actors. We are public speakers. Do what comes naturally. Begin by addressing the audience. It buys you time and calms your nerves. Pause, smile and count to 3 before saying anything. (“One elephant, two elephant, three elephant. Pause. Begin.”) Transform nervous energy into enthusiasm. Visualise yourself giving your speech. Imagine yourself speaking, your voice loud, clear and confident. Visualise the audience clapping – it will boost confidence. Realise that people want you to succeed. Audiences want you to be interesting, stimulating, informative and entertaining. They’re rooting for you. Don’t apologise for any nervousness or problem – the audience probably never noticed it. Gain experience. Mainly, your speech should represent you – as an authority and as a person. Experience builds confidence, which is the key to effective speaking. Finish your talk with impact and on a high note. Many speakers finish in a tentative, wishy-washy way with lack-lustre comments like: Well, that’s about it…” Make sure your final words are crisp, clear, and deliberate so they won’t forget!